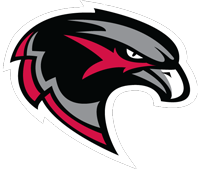 PEA RIDGE (KFSM)--Pea Ridge football eats, sleeps and breathes mental toughness. That was on display during the team's run to last December's 4A title game in Little Rock. "I don’t think I’ve ever been able to tell [the kids] anything that’ll really phase them," second year coach Stephen Neal said. But when Neal dropped the bomb—that the Blackhawks would play two games in week one—there were mixed reactions. "Sort of excited, sort of iffy about it," wide receiver Hayden Holtgrewe said. "Two games in one week, most people think that’s crazy but I think we can handle it," quarterback Jakota Sainsbury added. Center Denver Yates's initial thought was, "Why?" then added, "I didn’t think we’d be playing that Friday too." Even Neal was a bit skeptical at first. "This will be my twenty sixth season of coaching and no sir, we’ve never done that." Pea Ridge faces Hamburg on Monday August 28 and Booneville on Friday September 1. Both are on the road, but since the Hamburg game is part of the Hooten's Kickoff Classic, it will be played at Estes Stadium on the campus of UCA in Conway. With a three day turnaround rather than the normal six days, the Blackhawks face some different challenges. "Staying hydrated and staying relaxed," according to Yates. "There’s gonna be a lot of physical challenges being tired being sore, but I think mostly it’s all about the mental game," Sainsbury said. "Recuperation time for the kids. We know as coaches going in our preseason, we have to have our game plans in and already practiced long before that week," said Neal. And still, a team with lofty goals like Pea Ridge is taking its ambitious schedule in stride. "I think it’ll be a good testament to how our season’s gonna go. I think we’re gonna be on the road right away, we’re gonna be playing two good teams coming into the season," said Sainsbury. "It allows to practice taking big long trips and to practice being tired," Neal summed up. The Blackhawks finished last season 13-2 and 4A runner up.